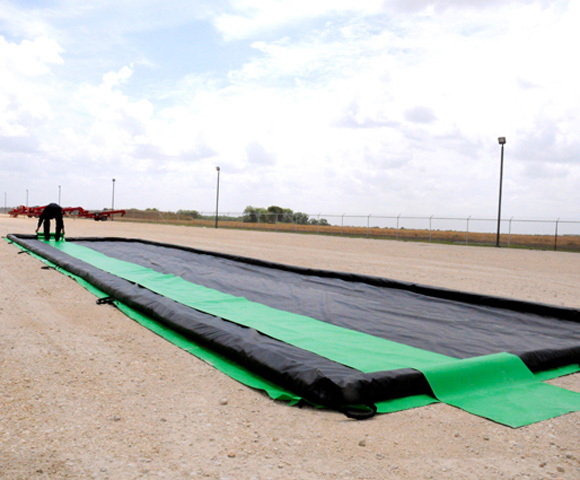 This spill containment berm variety is designed to provide you with reliable secondary spill containment when storing anything from frac water tanks to spill containment drums. 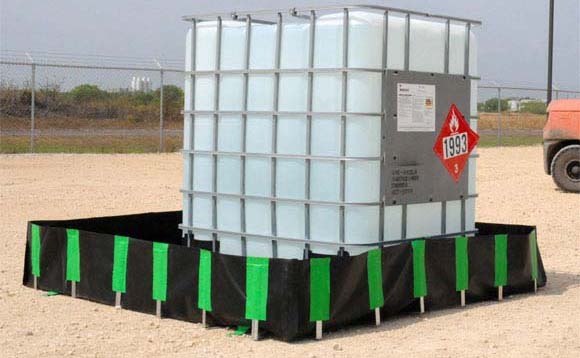 Available in large sizes for significantly sized vehicles, or small liners for 55 gallons drums, these berms provide a reliable containment area for almost any spilled liquid. Please feel free to browse through our variety of secondary containment products and berms listed below for further information regarding each of these berms and how they can be used for your storage requirements. The aluminum angle spill berm is an industry favorite for secondary containment under frac tanks, large tanks, vehicles and items with large quantities of liquids. Built to increase your storage potential, these berms feature a wall height of around one foot (1'), with higher options available on request. Construction of these berms has offered many different benefits including a rigid exterior, reliable containment area, portable exterior, and fast setup times. Often built with a lower height, foam wall containment berms are another common choice for secondary spill containment. These berms are equipped with a wall height of either 4", 6" or 8" to allow for vehicles to pass easily over the wall of the berm. This can be perfect for large moving equipment such as frac tanks, tankers, fuel trucks, machinery and more. 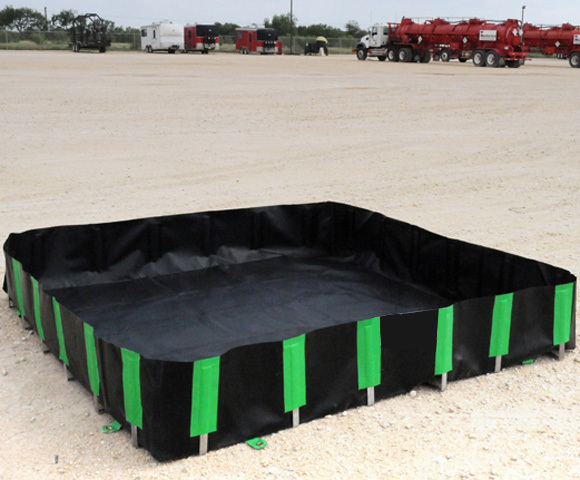 Built with portable exteriors, these foam wall berms are easy to move and can be quickly setup under your equipment for spill containment and control. For more information regarding these or any of our berms, please feel free to check out our Spill Containment Berms & Products.